Blancett accessories provide a wide range of options to interface the meter outputs to data acquisition or control systems. These options provide enhanced features and greater flexibility for interfacing Blancett turbine meters. The Blancett Frequency-to-Current (F-to-I) and Frequency-to-Voltage (F-to-V) converters are microprocessor-based devices designed to provide an analog output directly from a Blancett turbine flow meter. The converters measure and calculate the flow rate of a turbine flow meter and produce an analog output representative of that flow rate, in the form of a 4…20 mA or 0…5 VDC signal. 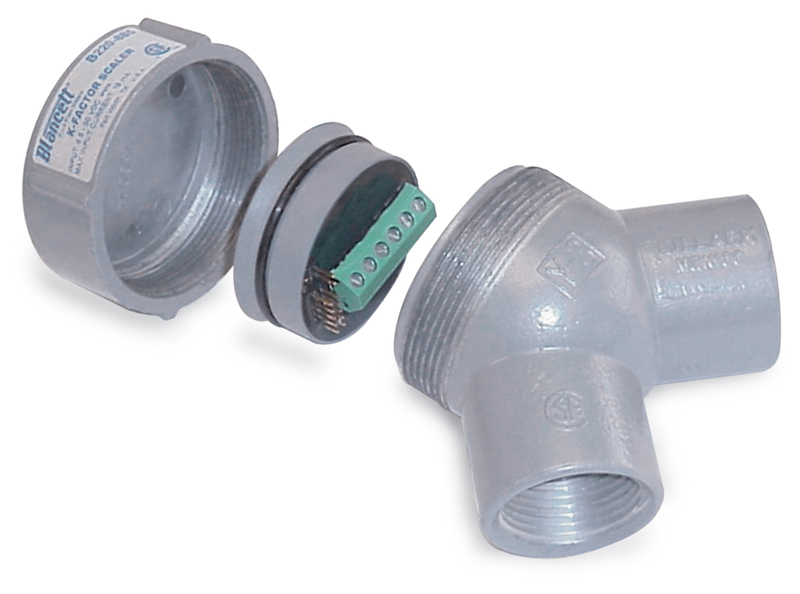 If a converter is ordered with a flow meter, the two components ship from the factory calibrated as a system. If the converter is a replacement, the turbine meter's K-factor has changed, or the converter is being used with some other flow meter, then re-programming is possible with an optional Windows®-based software utility. 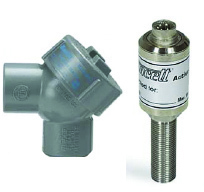 The F-to-I and F-to-V converters were designed for use with Blancett flow meters, but in many cases they may be configured for use with other turbine meters. Please consult factory for details. The Blancett Frequency-to-Current (F to I) and Frequency-to-Voltage (F to V) intelligent converters are state-of-the-art active sensors designed to provide enhanced features and greater flexibility for the Blancett turbine. The K-Factor Scaler converts a low level frequency output (such as the output from a turbine flow meter) into a scaled square wave output signal. 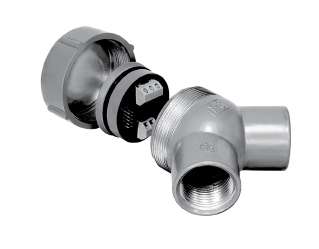 This adjustable frequency divider converts or "scales" the turbine meter output into units of measurement needed for a particular application and recognized by almost any data collection device. The K-factor scaler provides an amplified signal, even when a frequency conversion is not required. This signal is more immune to electrical noise and capable of transmission over longer distances than a raw turbine meter output.